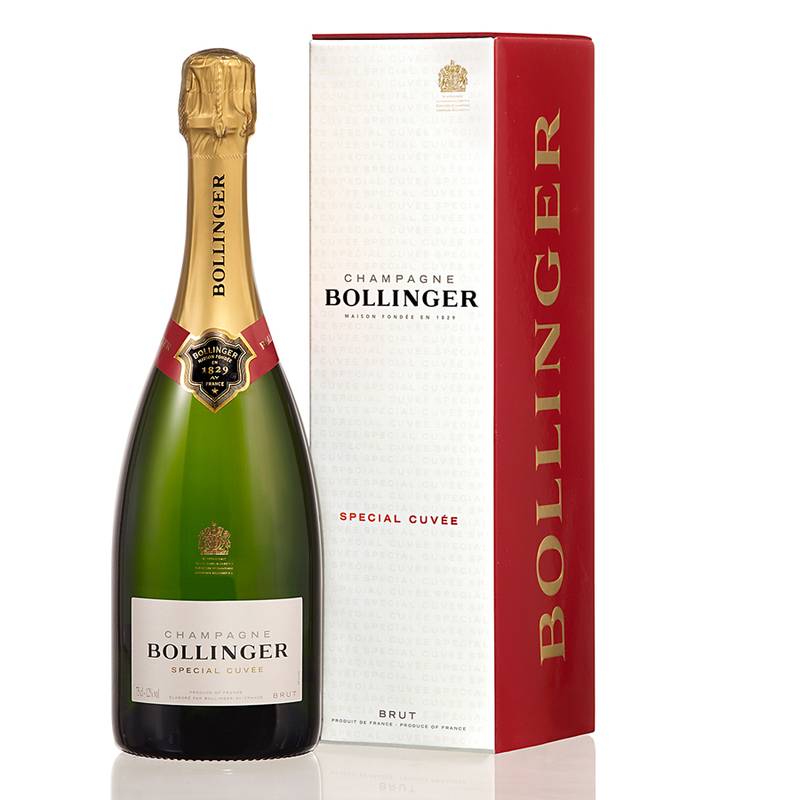 Bollinger's Special Cuv�e champagne is representative of their vineyards. With 60% of the House's vineyards producing Pinot Noir, this grape is the predominate variety in the Special Cuv�e blend. Bollinger allow their non-vintage to mature for three years, which is twice as long as required, as they believe that great champagne needs time to develop its full character. In 1911, Georges Bollinger's British agent gave him the idea for the name Special Cuv�e - "special" written the English way, without an accent. He thought the French expression "brut sans ann�e" was no match for such a subtle champagne. Tasting Note: A golden colour with a beautifully fine mousse. The nose is aromatic and complex with ripe fruit and spicy aromas. On the palate, rich apple and peach notes burst through. Hints of brioche and fresh walnut linger on the lasting finish to enhance this powerful Special Cuv�e. “60% Pinot Noir, 25% Chardonnay, 15% Pinot Meunier. 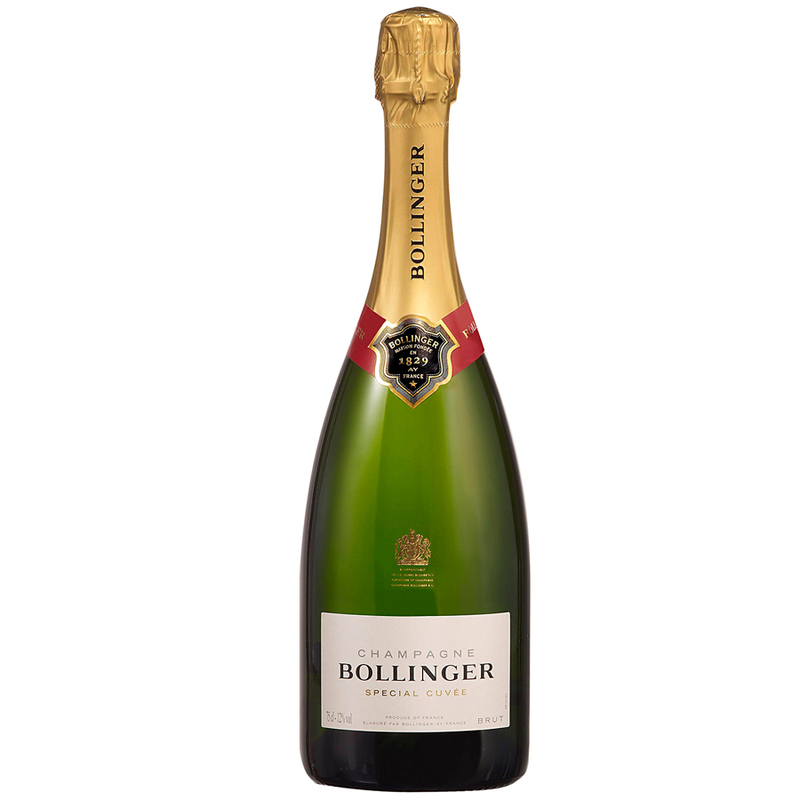 Bollinger don�t talk about which wine their non-vintage blends are based on because reserve wines constitute a good 50% of the blend. This was bottled in 2013 and disgorged in 2016 so 2012 is the youngest vintage. 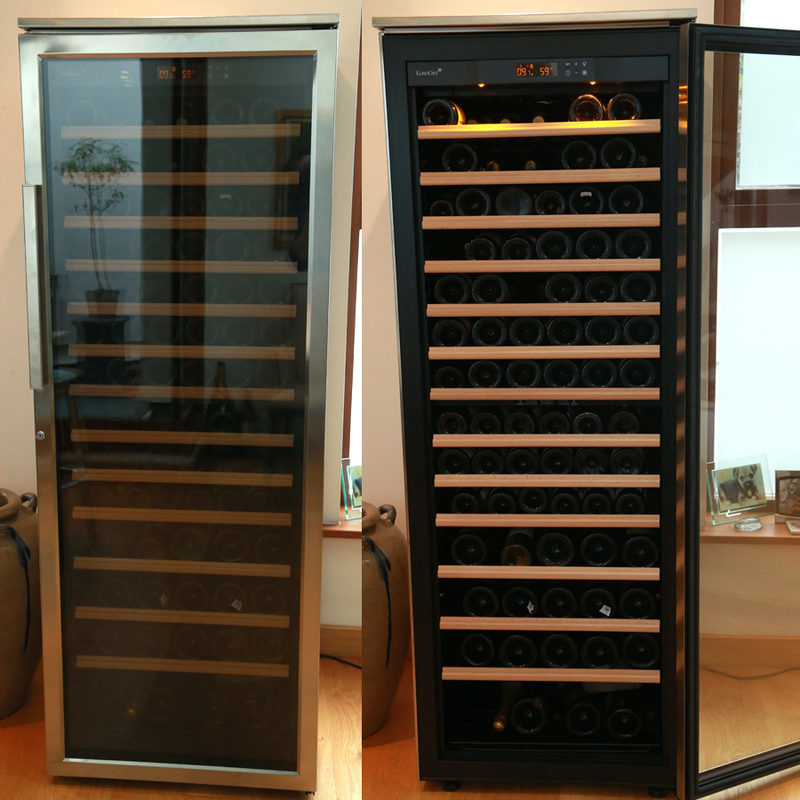 150+ different wines in the blend. Maybe six or seven different vintages.